Lyndon B. Johnson‘s amphicar, only 3,878 of which were built during the 1960s, is probably the most interesting vehicle to ever be owned by a President. 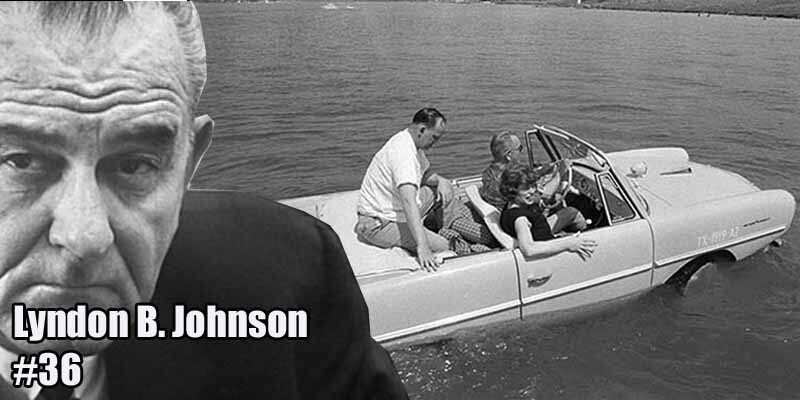 Johnson was known to pull pranks with the car. He would pretend to lose control or insist that the brakes had failed, and then he would drive directly into the water. Little did his passengers know that the car was as comfortable in the water as it was on the road.